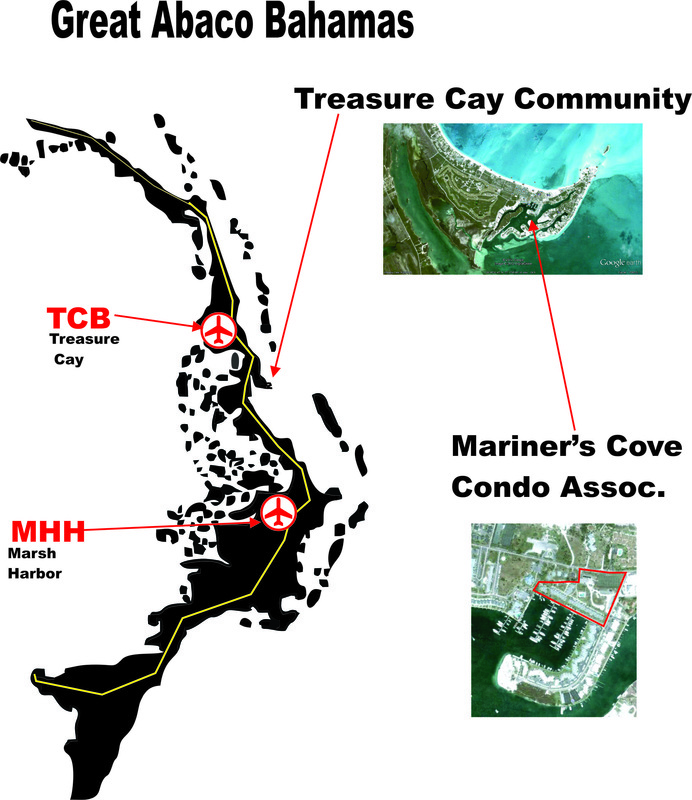 Mariner's Cove is located on the Great Abaco Island of the Bahamas, in the resort community Treasure Cay. You may arrive by air or by sea. Arriving by air gives you two airport choices Treasure Cay (TCB) which is located in Treasure Cay about 15 min from Mariner's Cove or Marsh Harbor (MHH) which is located in the city of Marsh Harbor about 45min away from Mariner's Cove. The cab fair from the Marsh Harbor airport is about $90.00 and from the Treasure Cay airport it will be about $40.00. NOTE: As of September of 2013 Bahamas Air will no longer fly into Treasure Cay Airport.